Al Jazeera and SputnikNews note that when Qatar won the Asia Cup tournament last week with a victory over Japan, the news media in Saudi Arabia, the United Arab Emirates and Bahrain did everything they could to avoid or minimize the name of the victor. The tournament was played in the UAE. 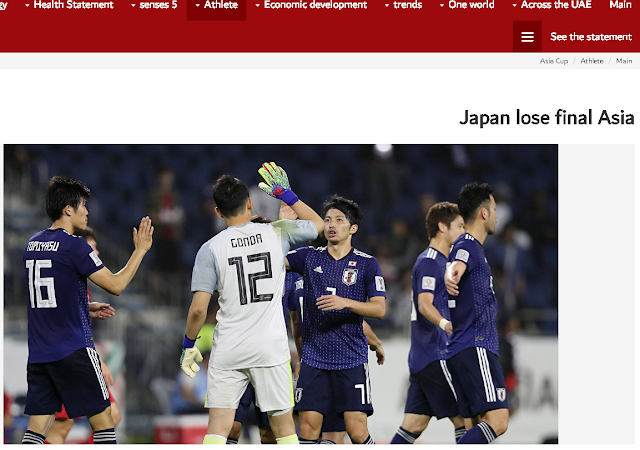 Al Bayan in the UAE headlined the story as "Japan loses" instead of "Qatar wins," only mentioning the Qatari team as an aside in the second paragraph. Most of this UAE article referred to Qatar as merely "the opponent." Gulf nations cut off relations with Qatar over its policy of remaining friendly with Iran.